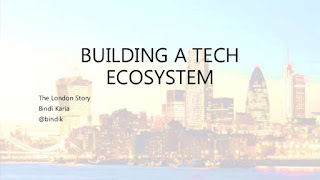 Following the visit of the Facebook founder to Lagos, the heart of Nigeria's technology ecosystem, people are beginning to talk about the validity of the ecosystem from a different point of view. To be honest, the ecosystem is moving fast but our people from northern part of the country are far left behind, which is less much to be desire, our dependency ratio is high, we have the talent but the can't help us solves our pressing needs. Now let say this clearly am not here to rant, but I guess we all need to wake up from our sleep, our youth need a change in their mindset from job seekers to job creators, this is the only way forward and technology has provided us with that platform to create any product from scratch that will solve our pressing need in our society, as we all know Nigeria is moving from natural resource base economy to human resource base economy. Software is eating the world and people are gradually embracing this technology in their day to day activities, so why not create the solutions to problems using this technology that our people will use on the go. I have been following the trends of happening in the hub of Nigeria tech ecosystem in Yaba and I found that nobody came and create this thing for them, it is their quest to move from their comfort zone that leads them to create what they have today. so why can't we create this ecosystem for our own society that will end up creating more jobs, and solving our problems in the society, we have to start somewhere little by little as we move on, failure and success will surely come our way and it is for us to learn from them and move on, as one of my best quotes says the worst failure is the failing to try something. When you want someone to believe in what you are saying, the best way to do that is to show him someone that is doing it, that way you can make him truly understand what you are saying, we that have the interest in the technology ecosystem needs to start showing our youth what others like them are doing. We have few individuals around us doing this startup of a thing, we can start from there and reach out to other to come and share with us how the get started, the problems the are working on and impact the have made in the society. This kind of showcase can be done in form fire chat and mastermind session, guys running startup kano, nHub and Kaduna startup weekend can begin to organize this kind of event, it's can either be at the end of every month or at the end of two weeks. As we are starting out the issues of mentorship must be on our focal point, this can be in form of advisory role, internship roles, and other mentoring sessions, we have people over there who are passionate about building technology community here, let us reach out to them for a mentor-mentee relationship, our youth wanting to build startup need this mentorship program along their journey of the startup. My ideas are for each founder working on his startup, should at least have one or two mentors, people that have done this startup are willing to help, we just need to ask. We have some amazing individuals taken the giant steps into the startup world, they are currently on their products, startup like kadamall, myjaha, karabow, wedevent, and myQ that won the seed starter nigeria, 2015. These amazing stories are out there, but many of us don't know about it, only a few of us that have passion for technology entrepreneurship are able to know about it. But that will change in no time as technology blogs like mine, technoenterpreneur, thenortherner, are out to bring the stories of this Nigerian doing amazing things here. If you know anyone working on technology products, send us a mail here, and we will feature them here on this blog, as this will go a long way to encourage others to want to bring their ideas and start working on it, which will result in more jobs and more social problems been solved. The backbone of any technology ecosystem is it's talent base in engineering and design, our developer over here needs to start teaching other that have the interest in programming. I really want to comment the work nHub is doing in Jos with regard to building the crops of present and future developer that will help in building our technology ecosystem here. but much needs to be done in this regard, code camp, hackathon needs to start coming to help youth that has the interest in programming learn. As a youth having passion for programming and design, you can start learning on your own, as you might have had, must of the top engineer and designer in the Nigerian ecosystem are self-taught, bend your head down and learn this thing on your own and don't look the other way round for an opportunity to learn from anyone in programming, if other can do it, you can do it too, you just need to believe in youself and start. 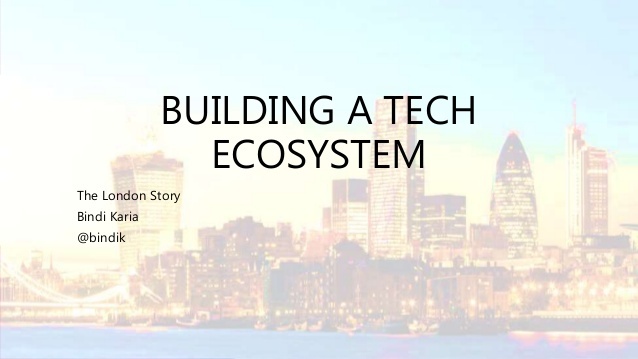 It is my believe that we can build this technology ecosystem right here because we go the talent, and the population that can consume our product, all we need is just to start no matter how we can, as all know Rome wasn't build in a day. Am hoping with this my piece of wiring more collaboration will begin to come up, if you have anything you want me to hear about this very issue please don't hesitate, shot me an email using the contact form in the sidebar section. Drop us your view about this post in the comment section, you comment are very vital to the growth and it's also encourage me to do more on the blog and don't forget to share using the social icon below.